1386 different grape varieties. In a possibly ill-advised moment of insouciance I agreed to a challenge as something of a now very belated New year’s resolution. To find and drink wines made from each and every one of the grapes featured in Jancis Robinson’s bible of oenology; “Wine Grapes”. A fit of bravado committed me to the project when the lady herself confirmed via Twitter that she didn’t think anyone else had done it before. I’ve since given quite a lot of thought to how to broach the endeavour (some might call it procrastination). Someone suggested that I start with the easy ones but who wants to read about a Cabernet Sauvignon and a Pinot Grigio? The obvious route would be alphabetically. First in the book is ABBUOTO. Never heard of it. Typed it into Google, narrowed to the UK and came up with…… nothing. Hmmm this may be harder than I thought. Also, I don’t want the whole project to stall whilst I’m searching for a particularly random grape. 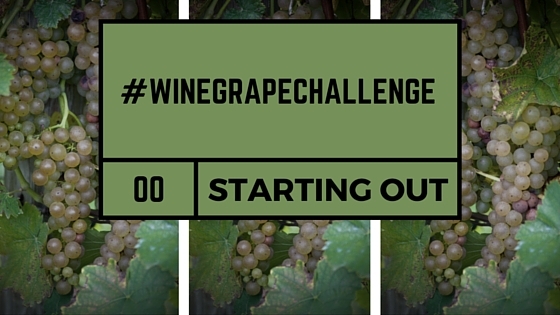 It became apparent that some rules need to be established..
3) The grape must be in the book as a standalone varietal. My first entry was going to be Melon a Queue Rouge from the Jura only to discover its not listed as a variety (apparently it’s really Chardonnay but there are plenty of arguments over that too). Yes, there are regional debates lasting generations over whether something is truly a different variety or just a mutation of an existing classic but we’re taking Jancis’s word for this as gospel so no arguments.